The summit plateau of Mt. Kronplatz in South Tyrol offers a unique mountain panorama going from the Dolomites to the main Alpine ridge. 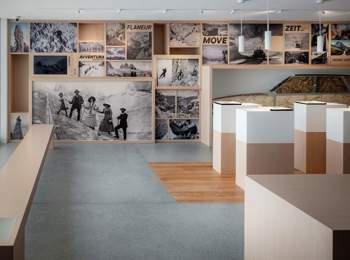 For all those, who would like to learn more about the fascinating mountains, LUMEN is a modern museum telling you more about the history of mountain photography from its beginnings until the present day – and all this in front of a unique mountain world. On the edge of the summit plateau of Mt. Kronplatz, above 2,000 m of altitude, LUMEN offers interesting insights as well as breath-taking views to its visitors. The museum combines nostalgia and innovation, adventure and illusion, nature and art. 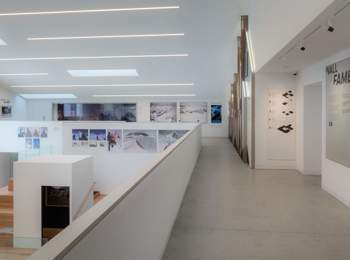 Permanent and special exhibitions are showing the different facets of mountain photography on a surface of 1,800 m². 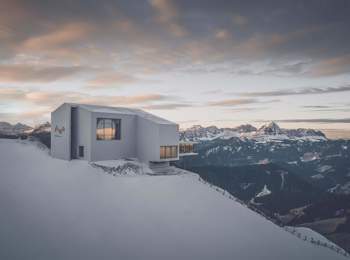 Designed by architect Gerhard Mahlknecht from Bruneck, the former summit station of Kronplatz cable car was transformed into a museum building of simple elegance. 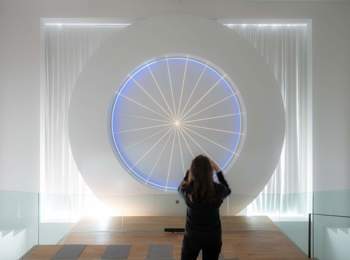 On four floors, the visitors are able to see mountain photography from different perspectives. A highlight is the huge shutter that can be opened and closed. 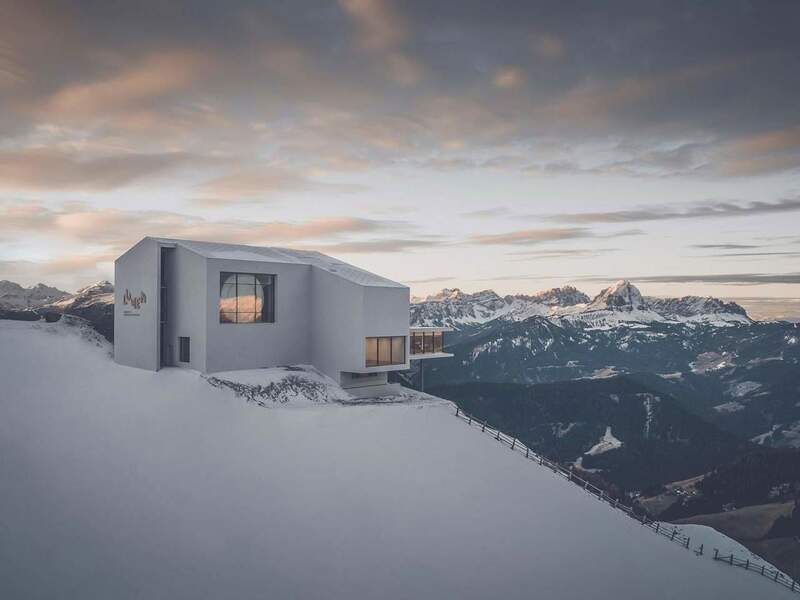 The shutter is closed and becomes a projection surface for films; when it is open, you can admire a breath-taking view of the surroundings mountains. The mirror room deranges and fascinates at the same time, and the adrenaline room impresses with multimedia installations on the subject of Alpine sports. The Wall of Fame presents pioneers of mountain photography, and the Chamber of Wonders is a surprise for all visitors. 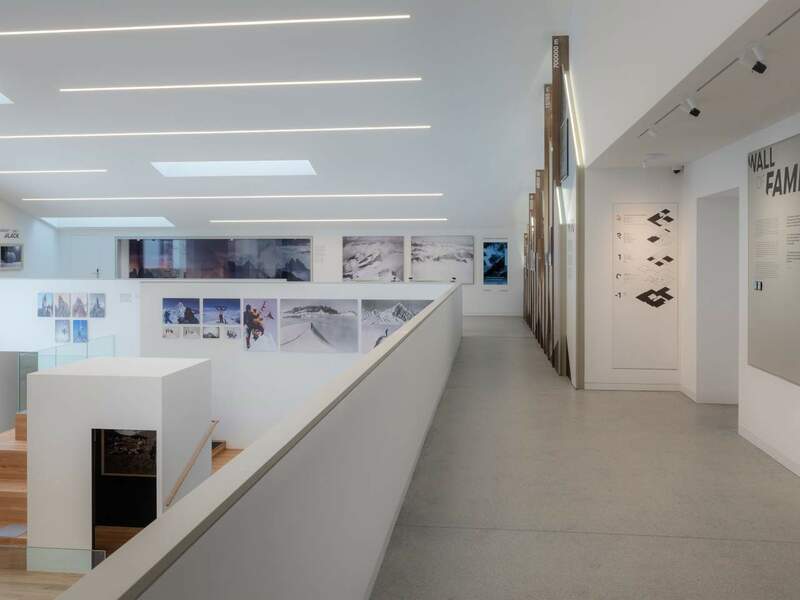 LUMEN museums dedicated a permanent exhibition to extreme alpinist Reinhold Messner. The UNESCO World Natural Heritage – Dolomites is offered a yearly changing exhibition. Also, the influence of tourism and politics on mountain photography is displayed. In addition to the exhibition rooms, LUMEN museum also has a large meeting hall and the AlpiNN Food Space & Restaurant with a magnificent view. The motto of AlpiNN is “Cook the mountain”: South Tyrolean Michelin-star chef Norbert Niederkofler uncompromisingly relies on regional and seasonal products and dishes that can be enjoyed in a relaxed ambiance. Mt. Kronplatz is a wonderful ski mountain with beautiful descents to the valleys of Pustertal and Gadertal. In summer, the summit plateau offers rapid mountain bike trails, family-friendly hiking paths and the sky scraper guaranteeing a unique adrenaline kick. Also, you can try a tandem flight. The Messner Mountain Museum Corones is dedicated to traditional alpinism and has the same opening hours as LUMEN. From the end of November until the middle of April and from the beginning of June until the middle of October (according to the opening hours of the cable cars) from 10 am until 4 pm daily.